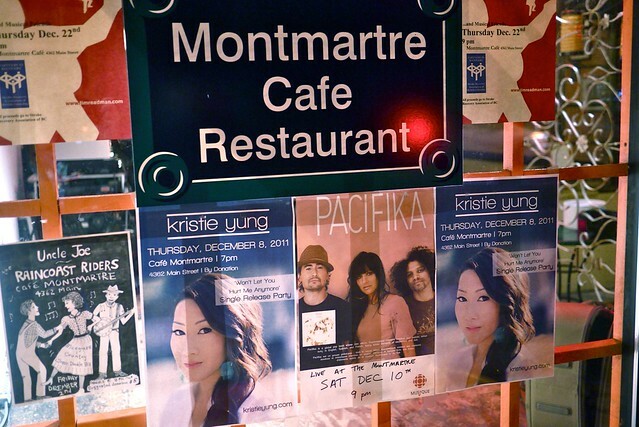 Vancouver Daze, Volume 46: Singer/songwriter Kristie Yung's "Won't Let You Hurt Me Anymore" single release party at Café Montmartre on Main Street on December 8, 2011. 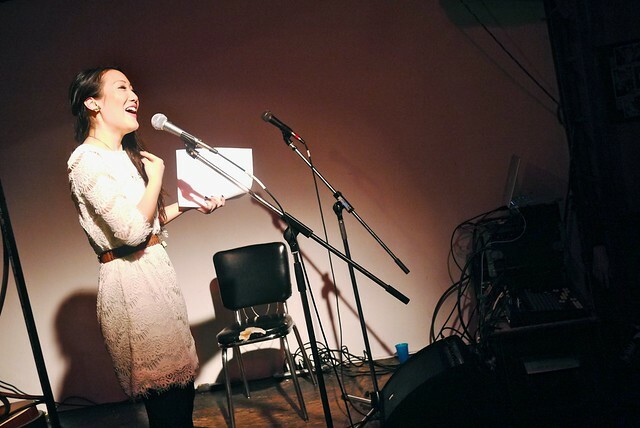 Published in Vancouver Is Awesome. 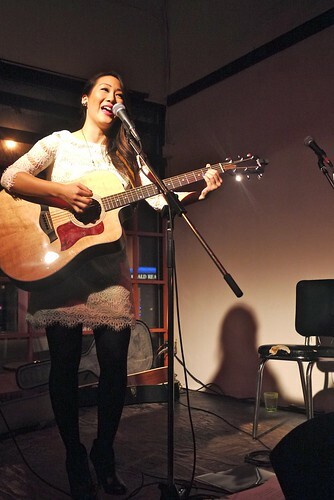 Last night was the release party for my good friend and local singer/songwriter/musician Kristie Yung's debut musical single. I think it's important to support young, local, independent talent in our community. 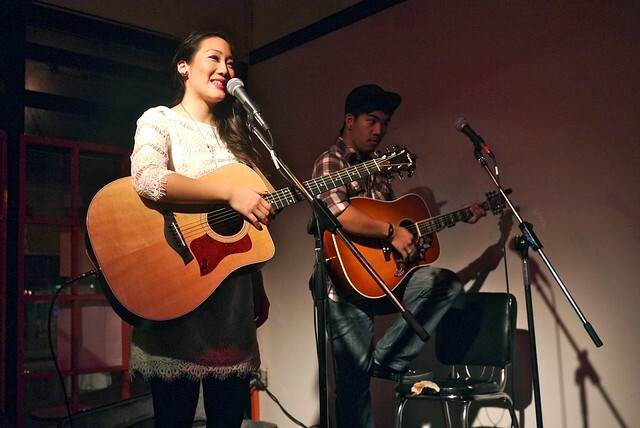 I love how Kristie has used social media and the online community to launch her music career. 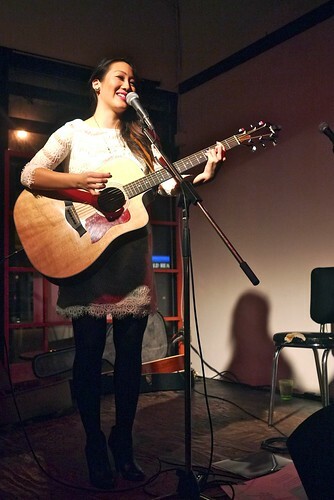 Kristie and a ton of her friends and family packed the small Main Street Montmartre Cafe for an intimate eight song set to celebrate the release of her song, "Won't Let You Hurt Me Anymore" and its digital release. I met Kristie earlier this year (as seen on V.I.A.) both through friends and online, becoming a fan ever since. I have enjoyed seeing her progress, singing and performing. Always a talent, she has come a long way in a short time, developing her sound, voice, and presence performing on stage. 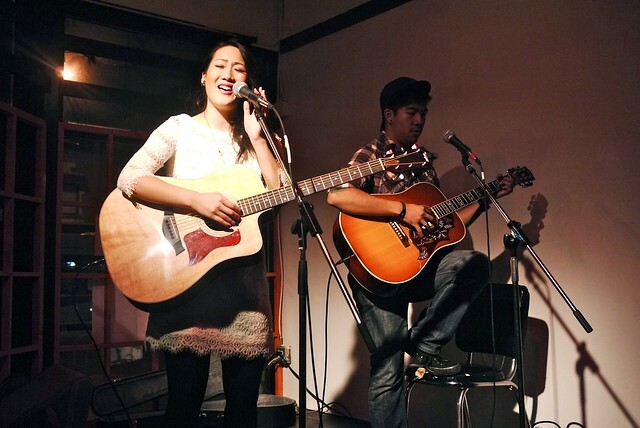 As an independent artist, Kristie is raising money herself, soliciting donations to fund her debut EP album, The Set List Project. Impressively, she's already raised over half her desired goal, having only officially launched her campaign in ernest yesterday. You can donate here. Kristie graciously thanked me on stage for supporting her, saying something about me going to all her shows, taking photos, and documenting them... without her asking. I chuckled, thinking she unintentionally made me sound like a crazed fanboy. 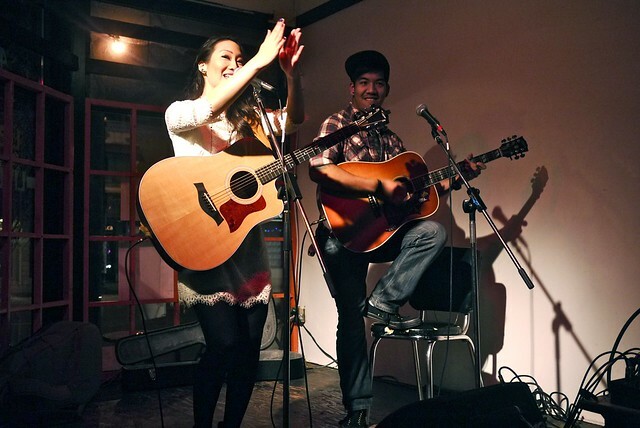 Kristie performed live with guitarist Jon Wu to a raucous crowd (below). You can listen to the single on CBC Radio 3 and download it on iTunes or Bandcamp. It was a fun night celebrating a hard work and a big step in what I'm sure will be a momentous musical career.